Here is the full speech from Text 3 of the 2016 Leaving Cert Higher Level paper. It is delivered by Barack Obama to NASA and is, as always, eloquent and insightful. Pre-writing: Brainstorm, cluster, organise ideas, think about expression and vocab, produce an outline (paragraph by paragraph detailed plan) – know the ending before you begin. Writing: Write the essay (new/better ideas and forms of expression emerge as you write – incorporate them). Focus on ideas, expression and structure. Post-writing and proofreading: Always revise your essay – for homework assignments, make time to edit your first draft and produce a second draft. Add, omit, change ideas. Change the order of ideas. Improve expression and sentence structure. Check spelling, punctuation and grammar. In exam conditions – re-read and improve where possible. The best way to improve your writing is to keep writing. Also read a variety of material – fiction, biographies, sports journals, newspapers, etc – to gather inspiration for new ideas and good styles of writing. Points 1 – 4 above will gain you marks under the heading of Purpose (30%); 5 – 8 under the heading of Coherence (30%); 9 – 12 under Language (30%); point 13 under Mechanics (10%). Here is a nice little video on Persuasive Writing. 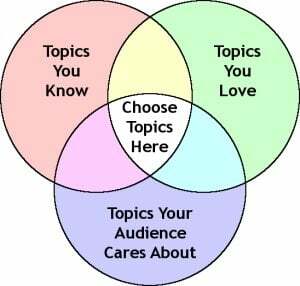 It will be useful for when you are writing a persuasive text, or when you are asked to identify the techniques used in a piece of persuasive writing. As we are revising the techniques of speech writing in 6th year, it is worthwhile to watch some great examples of the craft. Here is one of the most famous speeches of all time. What techniques does Dr. King use in this masterpiece? Here is President Obama’s victory speech, delivered just last night. And here is Governor Romney’s gracious concession speech. Here is Bill Clinton’s speech, delivered at the DNC, to nominate Barrack Obama as Presidential Candidate in the 2012 election. As we would expect, Clinton is a master at rhetoric and holds his audience captive. This speech is well worth examination by any student interested in politics or speech writing in general. Speeches may appear on Paper I in Question B of the Comprehending Section or in the Composing Section. Write a talk, to be delivered to your School Book Club, on the enduring appeal of the mysterious in books, films, etc. You might refer to some of the following aspects of the mystery genre in your answer: setting, tension, suspense, dialogue, characterisation, atmosphere, music, special effects etc. Write out the text for a short radio talk where you explain the importance of books in your life and in today’s world. Write a short speech in which you attempt to persuade a group of parents that older teenagers should be trusted to make their own decisions. Imagine your local radio station is producing a series of programmes entitled ‘Changing Times’, in which teenagers are asked to give their views on the changes they welcome in the world around them. You have been invited to contribute. Write out the text of the presentation you would make. You have been asked to give a short talk to a group of students who are about to start first year in your school. Write out the text of the talk you would give. You have been asked to give a short talk on radio about an interesting journey you have made. Write out the text of the talk you would give. You have been asked to give a short talk on radio or television about a fundamental human right that you would like to see supported more strongly. Write out the text of the talk you would give. Imagine your job is to welcome a group of foreign students to Ireland. Write out the text of a short talk (150-200 words) in which you advise them how best to get along with the Irish people they will meet.